Czech puppeteer, visual artist, and author of puppet theatre plays. Josef Skupa graduated from the Akademie výtvarných umění (Academy of Applied Arts) in Prague and worked as a visual arts teacher and set designer. In 1917, he became a member of the amateur company Loutkové divadlo Feriálních osad (Puppet Theatre of Vacation Settlements – summer camps for children from poor families) in Plzeň (Pilsen) where he became the leading personality. By the end of World War I, Skupa had found his place as a puppeteer and author in political cabarets that were aimed against the Austro-Hungarian monarchy. With these performances he refined his talent for improvisation and communication with his audiences. After the founding of Czechoslovakia in 1918, he continued along this line of repertoire in literary cabarets and revues. With his sense of theatrical effect, Josef Skupa understood the importance of the fixity of comic characters for puppets and their acting possibilities, and he devoted great effort toward finding new character traits that would attract audience interest with their topicality. 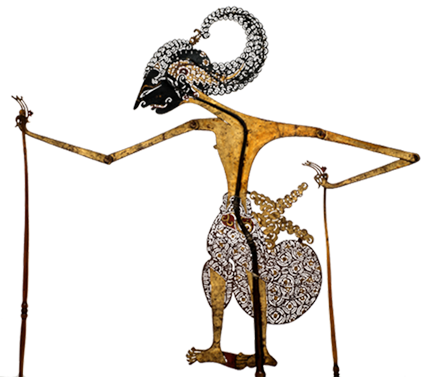 In the second half of the 1920s, the two principal puppet characters of Skupa’s revues appeared: Spejbl, the confused and clumsy father, and Hurvínek, his inquisitive and clever son. Problems related to growing up were the central themes of their comic scenes. Their success with audiences as well as their lasting quality showed that Skupa had not only understood the issues of his time but had also created archetypes that reflected universal generational conflicts through comic exaggeration. He found unique movements and unmistakable stylized voices for the two puppet characters (he himself spoke for both). At a time when the visual element of a performance dominated many Czech puppet theatres, Skupa instead emphasized the puppets themselves in his staging and their most significant features, an orientation that thereafter influenced future developments in this direction. In 1930, Skupa founded his own professional ensemble that excelled in professional and technical skill. Apart from its activities in Plzeň, the theatre toured throughout the republic. Faced with the threat of fascism, Skupa like many other artists reacted by immersing himself in creative work. 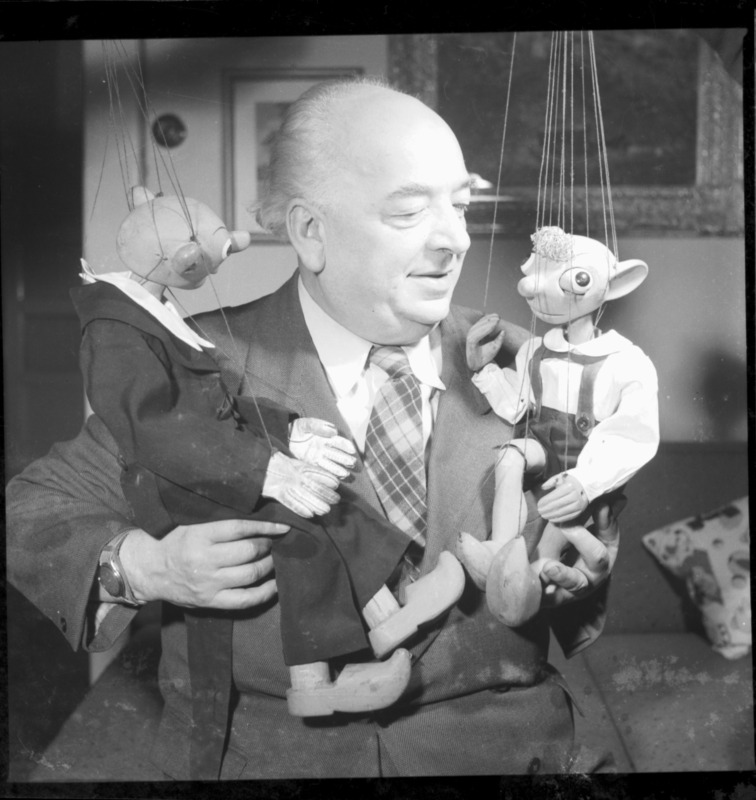 During the German occupation until his arrest in 1944, he strove to use the relative inconspicuousness of the puppet theatre to present hundreds of performances all over the country, giving faith to audiences through the allegorical content of his messages. In 1945, Skupa opened the Divadlo Spejbla a Hurvínka (Spejbl and Hurvínek Theatre) in Prague, but his position became increasingly uncomfortable under the new conditions of society. Although he was awarded the prestigious title of National Artist by the government in 1948, the communist government expected that he would support its politics in his theatre. Skupa resorted to a repertoire for children, and he revived his most successful pre-war children’s play, Hurvínek se učí čarovat (Hurvínek Learns to Cast Spells). 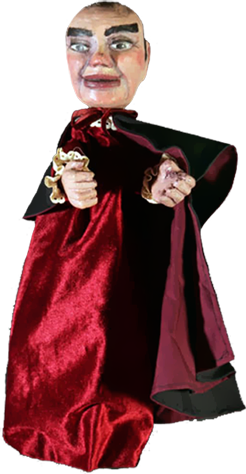 While in his performances for adults, despite criticism, he mainly presented pantomime programmes (What Puppets Can Do, Puppet Grotesques, and others), which charmed audiences with the creativity of the entire cast. 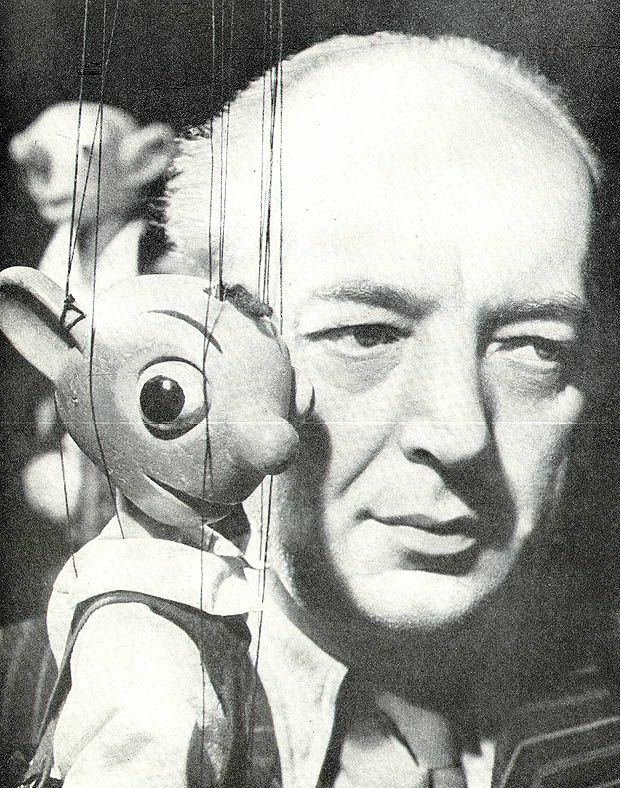 In the 1950s, Skupa trained several young promising puppeteers from his own company, among them Miloš Kirschner, who in the following years took over as head of the Czech marionette school. In 1933, Josef Skupa was elected UNIMA President at the 4th Congress held in Ljubljana, Yugoslavia. He also made several tours abroad with his theatre before the war, to France, Austria, Estonia, Latvia, Lithuania, and other Baltic countries, and after the war toured England, France, Poland, Hungary, and the Soviet Union. Grym, Pavel. Klauni v dřevácích [Clowns in Wooden Shoes]. Praha: Panorama, 1988, 364 pp. Makonj, Karel. “The Theatre of Josef Skupa”. Czech Theatre. No. 13. Praha, 1997, pp. 49-55. Malík, Jan. Národní umĕlec Josef Skupa [National Artist Josef Skupa]. Praha: SNKLU, 1962. Malík, Jan. Úsměvy dřevěné Thálie [Smiles of the Wooden Thalia]. Praha: Orbis, 1962.